Product: Mashers Disposable Clear Plastic Take-Away Food Containers with Lids, Pack of 6 was added to cart. 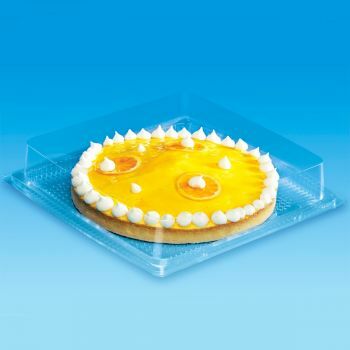 Practical and disposable, these Clear Plastic Take-Away Food Containers with Lids from Mashers’ Traitipack Collection are perfect for exhibiting cakes, sandwiches, desserts, pasta dishes, and other food items in refrigerated counters and shop displays. A popular choice for cake shops and deli counters, they are made from quality transparent plastics, feature hinged lids, and they are fully stackable to save valuable storage space. Supplied in packs of 6 and wholesale cases of 150 disposable cake containers, they offer exceptional value for money.